Produced using only two cuts of pork, thigh and belly, wisely cleaned and enervated, reaching a mixture ground fine grain, mixed with salt, pepper and if necessary flavored with garlic.Stuffed in natural casings, strictly linked by hand and then it is ready for a delicate phase followed by slow drip drying. The last phase is the maturation. 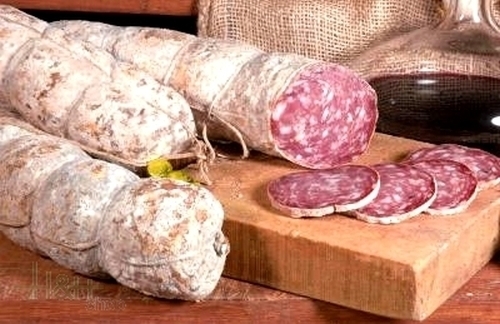 This salame with its simplicity reflects the most traditional flavors and forgotten fragrances and the tradition of the territory. ready for shipment: in ca. 5 days Dry-Cured Ham PDO Parma sliced Levoni ca. 200 gr.